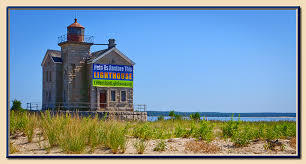 Great Peconic Race – Great Peconic Race is an advanced recreational and elite paddle race circumnavigating Shelter Island, NY, located between the North and South Forks of Long Island. 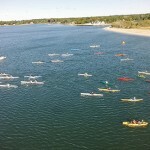 Great Peconic Race is an advanced recreational and elite paddle race circumnavigating Shelter Island, NY. The race honors Ted Baldwin’s love for the Peconic Bay. Register now for this year’s race! 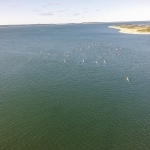 The Hamptons’ fifth annual Great Peconic Race, “GPR”, is one of the East Coast’s premier paddle races for elite, intermediate and novice paddlers. All paddle crafts are welcome – SUP, Surf Ski, OC1 – OC6, Kayaks, Coastal Rowers, and Prone board. 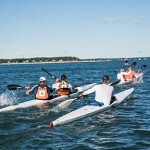 The race includes the premier, 19 mile race course which circumnavigates Shelter Island, an approximately 9 mile race course which goes halfway around the island, in addition to Paddle Diva’s “Diva 3 Mile” race course, and similar to last year, there will be a special kids sprint race right at the beach at Wade’s Beach at 1 pm. Recreational paddlers are welcome to compete in all races, although we recommend that advanced paddlers compete in the 19 mile race. All races are eligible for trophies. In addition to the 19 mile race we offer a 9-mile half course, a 3-mile, untimed recreational course and a 500-yard Kids Race that will take place just off Wade’s Beach at 1 pm. 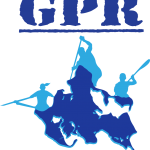 With these distinct races GPR provides challenging and fun competitions for all levels of paddle athletes and enthusiasts. 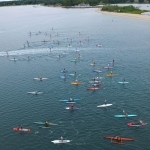 This is an open water, paddle race, circumnavigating Shelter Island, NY. Participants can expect open bay conditions, which may include strong currents, and a variety of wind and wave conditions. 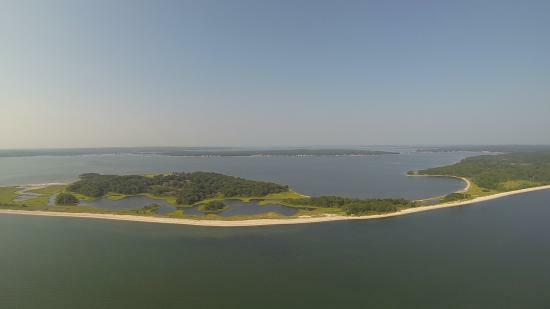 GPR was created to let paddlers experience the beauty of the Peconic Bays and to challenge your will to withstand whatever Mother Nature throws at you. Through this race, we honor Ted Baldwin’s love for these waters and his enduring spirit. Once again this year we will be holding a beach party to support Cornell’s work of local marine habitat restoration. There will be interactive, group sea grass planting for all racers and guests who wish to participate in giving back to our waters. Proceeds from the beach party will be donated to Cornell Cooperative Extension Marine Program, which helps to save our waters. Train hard and get ready for an unforgettable race and a truly memorable day on the beach. Bring your support crew to cheer you on! Spectators are welcome for the beach party and are encouraged to cheer on all the racers as they cross the finish line! My brother, Ted Baldwin, grew up in North Sea on Little Peconic Bay, where he lived for the water. Ted loved to test the limits of his abilities, imagination and Mother Nature’s patience. He always dared us to have as much fun as possible and more often than not, that meant doing something on the water. Ted was a true water lover. There wasn’t a sport or activity on the water that he had not tried while growing up on the bay. To name just a few, they included designing a slalom course in Scallop Pond, our favorite ski hangout, to sailing around Robin’s Island, to jet skiing, and parasailing. Ted had very little fear and was always confident when it came to his abilities or whatever Mother Nature could throw at him. Ted was put to the greatest test as he battled a disease that eventually took Ted away from us physically, but his spirit survives. This race is to honor Ted’s love for these water where he had many adventures and so much fun, and is a tribute to his enduring spirit in the face of his greatest challenge. Supporting the Cornell Cooperative Extension Marine Program and its mission of helping to save our waters, honors Ted’s love of these waters. We are urging people to register ahead of time. One week prior to the event and on race day itself the cost of registration will be raised. Also by registering ahead and having proof of registration, all participants will receive a discount on their ferry ticket. Once again this year we are excited to have three paddle events in which to participate. Please note, this is both a race, for those wanting to hammer it out with each other, and a recreational tour of the island, for those who just want to have fun. It’s your paddle and your choice! 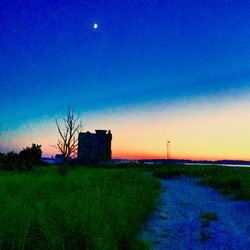 19 MILE RACE – Circumnavigation of Shelter Island: $125.00 per participant – includes rash guard, race medal, a ticket to charity beach party, and a swag bag of goodies. 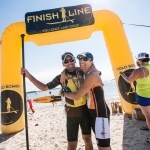 9 MILE RACE – approximately halfway around the island: $125.00 per participant – includes rash guard, race medal, a ticket to charity beach party, and a swag bag of goodies. The GPR race day events include an awards ceremony with trophies. There will also be a catered lunch, beer and wine, music, raffles, SUP yoga, paddle craft demos, massages, and many other beach activities. All participants in the race receive access to the beach party and additional tickets can be purchased via paddle guru. We encourage families, and friends to come and join in the day, even if they are not racing. Beach Party tickets will NOT be available the day of the race. KIDS RACE – Sponsored by GINA BRADLEY OF PADDLE DIVA and MAUREEN ROEBER: The 500-yard Kids Race will take place just off Wade’s Beach at 1pm. All kids must be accompanied by an adult. While the Kids Race will be free of charge, the tickets to Charity Beach Party are $75/adult (see below). This will give you food, drinks, and a donation to the Cornell Cooperative Extension Marine Program with your kid(s) eating for free. Please bring the Parent consent form which you can download here: MINOR WAIVER FORM (to be signed at the race during registration) and make sure all boards have leashes. First, second, and third place prizes will be awarded. There is no rain date. An alternate course is in place in the event of rough or foggy conditions and the occasional sea monster! 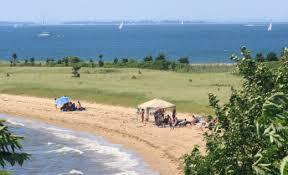 Where: The Great Peconic Race will begin and end at Wade’s Beach on Shelter Island, NY. 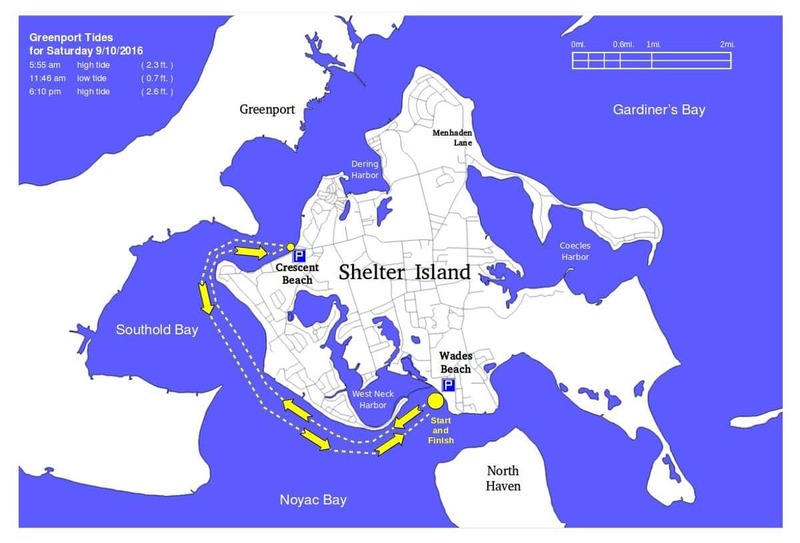 The course will proceed in a clockwise direction to the West Northwest and encompass a complete circumnavigation of Shelter Island, a total estimated distance of 19 miles. Chase boats and timing will finish after 7 hours. ****NOTE – Depending on wind direction and strength, the race course may change to a counter-clockwise direction and/or one of our alternate courses. Medals will be given to all that finish the race. Trophies, sponsored gifts and raffle prizes will be awarded. To be recognized as a race division there must be five or more crafts of the same type in a division. New for this year every race division will receive a trophy even if it’s only one paddler. Other types of crafts are welcome to participate, but will not be awarded a trophy. It will be at the race committee’s discretion to add new divisions, but prizes and trophies may not be available for those new divisions. Our sponsors will be presenting to the winners of the Great Peconic Race. Trophies will be given out in all three races. The 3 mile race will award trophies to SUP crafts (12.6 and 14 combined) only. Launching: Crafts should be dropped off at Wade’s Beach and secured. Race officials will be in the parking lot directing participants where to park their vehicles. Time: The maximum time allowable to finish the course is 7 hours. Anyone who withdraws from the race at any point between the registration table and the finish line MUST check-in with a race official at one of the bail out locations. This is to ensure that race officials are able to account for all participants. Bail-out Locations: Should any participant withdraw from the race, prior to the finish line, there will be support vehicles parked at four locations around the island. Paddlers must check-in with a race official at the time of withdrawal so as to ensure that race officials are able to account for all participants. Race Preparation: All participants should be prepared for variable weather, wind and water conditions. 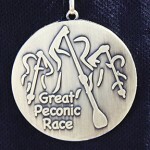 The Great Peconic Race is an expedition and endurance event. All participants should be in good physical condition. Participants should arrive on time to sign-in, obtain race numbers and adequately prepare themselves and their craft for the race, prior to the captain’s meeting. Water and granola bars will be available at each beach support location. Each participant must bring their own gear, hydration, and food to support themselves while paddling. Suggested food and drink: plenty of water and sport drinks, granola/power bars, dried fruit, nuts, Peanut butter and jelly sandwiches. Suggested Gear: sun hat, polarized sunglasses, UV shirt, board/paddle shorts, windbreaker, water shoes, warm jacket, sunscreen, lip balm. Suggested craft gear: Personal Flotation Device (required for each participant), leash for board, bailer for boats, dry bag, extra paddles, tow rope, first-aid kit. Estimated Completion Times: Participants may review last year’s race results for times to complete the race. SUP – Stand-up Paddle –This is not a “down-winder” and you will be paddling both with the tide and against the tide. This is a long race for this class; paddlers should be prepared for up to 7 hours on the water. Kayakers and Surf-skiers – Averaging 5-6 mph, paddlers should expect about 4 ½ hours on the water, but if you’re a recreational paddler, expect to be on the water about 6 hours. 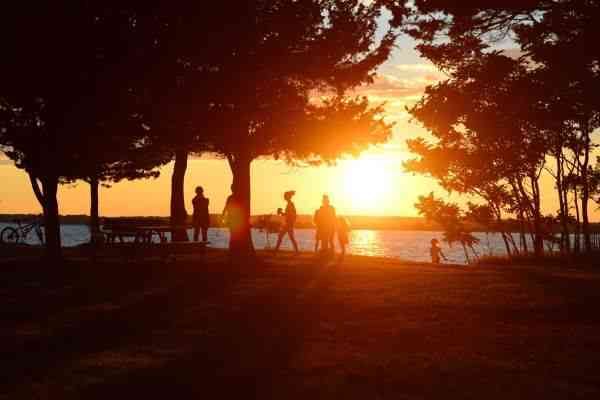 Stay at Cedar Point Campground in East Hampton. More information coming soon! Take the Cross Sound Ferry (reservations required, call 1-631-323-2525) from New London, CT to Orient Point, then Route 25 to Greenport-Shelter Island Ferry. When you exit the ferry, you will be on Route 114 South. Follow 114 South for estimated 3.5 miles, make right on S Midway Road for another .55 miles. On left is Wades Beach. When you exit the ferry, you will be on Route 114 North. Follow Route 114 North approximately .75 miles, and make a left onto S Midway Road for .55 miles. On left is Wades Beach. Safety: While there will be power boat escorts, EMT’s and ground vehicle support, participants will be on their own, on the water, for extended periods of time and must be prepared to be self-sufficient. Basic safety gear and day provisions are required of all participants. In collaboration with the US Coast Guard, Power Squadron, US Coast Guard Auxiliary and local water services. DISCLAIMER: The Great Peconic Race reserves the right to refuse to register any individual and/or boat. The race officials may also expel or refuse to allow any boat or individual the opportunity to participate, before or during the race, and/or finish the race for ANY reason, including but not limited to: lack of required equipment, unsafe operation, disregard for event rules, and unsportsmanlike conduct. THANK YOU TO THE SPONSORS OF GREAT PECONIC RACE! as the beneficiary of our 2018 event! 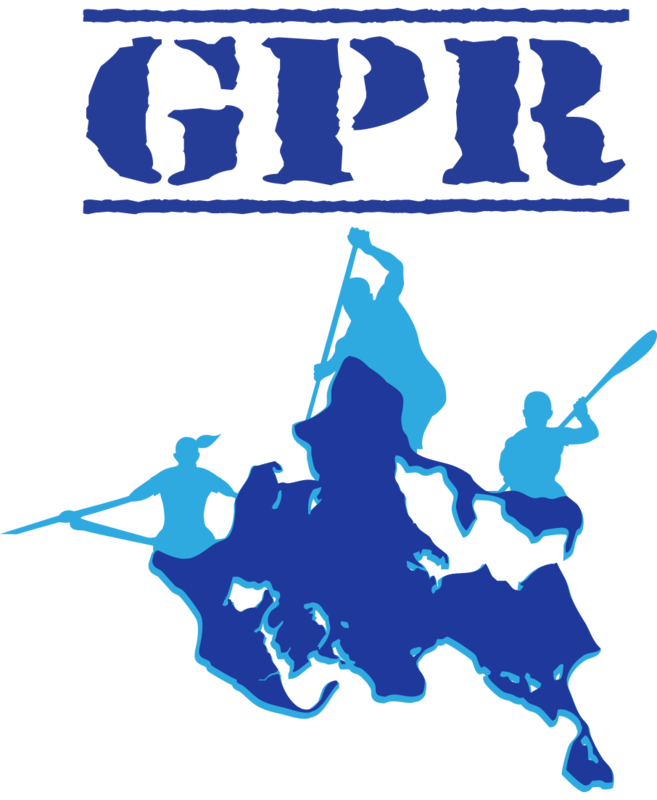 The proceeds of this years GPR race will contribute to the development of a water education program to be located on the Preserve with the goal of cultivating and sharing knowledge and passion for our local waters and paddle sports. We are very excited to be able to support a local program that reflects the values at the foundation of the Annual Great Peconic Race!